You’ve written a song. You’ve got the lyrics, exactly which notes each instrument is supposed to hit and when. Now the next step is to record that song and you’re on your way to super stardom. But wait, what if you can’t afford a studio fee? Are there any options for recording that song at home? Oh man, how much is that going to cost? Don’t worry, we got your back. Sure, some things can be easily found or made. Like using thick blankets, carpet and such to add soundproofing to that extra room. But what about that microphone? How do you choose which one to use for your instruments and which to use for your vocals? What type of microphone is best for recording vocals? Truth is, that question has a varied and complex answer. For starters, there are three main types of microphones. Dynamic, like the Shure SM-58. Condensor or Capacitor like the Rode NT2. And the Ribbon, like the Coles 4038. Each of these types have upsides and downsides and can be used for different things. Dynamic is mostly used for close up mic work, such as for the drums and the guitars. Being better for loud source material, they can handle higher sound pressure levels. Using a dynamic mic will work for recording that sick guitar solo you’ve been working on. The Condensor or Capacitor mic is considered the de facto choice for vocalists. Its more sensitive to sound pressure levels, unlike the dynamic. It picks up more subtleties and nuances for genres like jazz. But, you may not be able to hold the mic in your hand due to loud noises from movement. Also, at times it can seem to have too great a range for frequency. However, it will handle being held, to a point. But try to keep the head banging to a minimum while you’re using it. Now for the Ribbon type. These are also good for vocalists, having a richer sound. Good for more softer or subtle voices. Its even more sensitive than the dynamic mic to sound pressure levels. It, like the Condensor, will not tolerate a lot of movement of the mic or loud sources moving around it. So this mic could be the perfect one if you only plan to stand in one spot or sit on a stool and move the crowd with a tear jerker love song. There’s also another consideration for your microphone choices. The pick up pattern. Again, there are 3 pattern types. Omni-Directional, Cardioid and Bi-Directional. Each is pretty straightforward. Omni-Directional patterns picks up sound equally from all around you. So if you have a problem with ambient sounds, this type of pickup pattern wouldn’t be ideal. With the correct sound-proofing, this pattern could be the ultimate setting, some argue. Cardioid. Sounds weird, we know, and it actually is known as ‘heart-shaped’. Basically that means it picks up sound in front of it, whichever its directly pointing at, while rejecting the sounds from the sides and rear of the microphone. Most engineers actually prefer this pattern with a Condensor microphone. And finally, Bi-Directional, the ‘figure-eight’ of the patterns. Picking up the sound from the front and rear only, while the sides are blocked. If you were to be recording each instrument and vocalist individually, this would most likely be your best bet. Some questions to ask about the microphones frequency capabilities. Does it make your voice sound flat or natural? Is it boosting the right frequencies in your voice to make you sound amazing? Will it handle loud or more quiet noise levels well? Will it minimize or maximize the background noises? And finally, how loud can it get? The only way to know is to try these microphones out yourself. One way to accomplish that is to go to a studio, and for hopefully a lot cheaper fee than actually recording, you can try out each microphone to see which ones suit you best. But be wary, some, like the Coles 4038, can be priced upwards of $2,000. While the Shure SM-58 can be anywhere from $50 to $100. Even the Rode NT2 can mostly be found in packages of upwards of $100-$400. So which is the best microphone type for vocal? It depends on what you are looking for. We have consulted two Microphone specialists from around the world what they would advise you. To be honest with you, there is not one best microphone for recording music and vocals. But for me personally the ​Shure SM7B takes home the cake. This microphone is perfect for male vocals as it seems to pick up the low frequencies extremely well. That said, the SM7B has its price. It is scratching on the $500 mark which is not cheap for a beginner. But if you plan to setup a professional homerecording studio the price is going to pay for itself. You can read more about Gerald’s opinion on the SM7B and other vocal mics for tighter budgets in his Vocal Recording Microphone Guide. Here in Germany and Austria many people seem to chase only a small number of microphones for vocal recordings. We observe a rising demand for microphones and brands which offer the best bang for the buck. And over here there are only few brands which deliver a phenomenal sound quality for a reasonable price. The most sought after brands are: Rhode, Sennheiser, Shure and AKG. There is definitely a market for budget brands like Samson, too. After reviewing dozens of mics for vocal recording my favorites are the RODE NT1A and the Sennheiser E 865 S. Both offer an exceptional sound quality for under 250 bucks. Jonathan has tested several Mics for vocal recording and other purposes. You can go and grasp his knowledge about this topic by taking a look at his microphone guide on https://hobbeasy.de/mikrofon-test/. If I had to choose one Microphone for Vocal recording it would be the Shure SM57 and it is not even close. You are looking at a perfect sound quality for under 100 Euros. This mic has been a staple in my home recording studio and I would never ever trade it for something else. 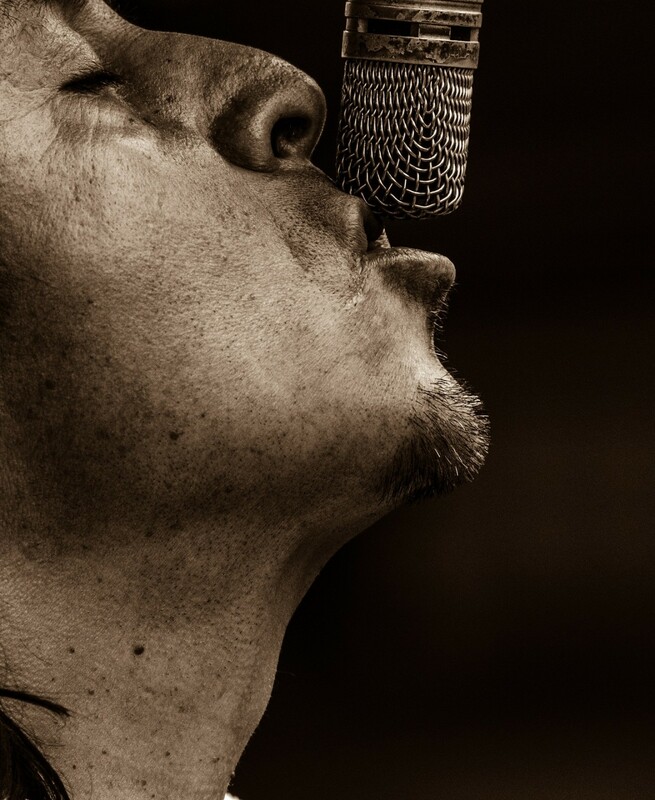 Alexandre has listed his opinion on the 10 best home recording microphones on his website http://www.home-studio-pro.fr/2014/05/28/les-10-meilleurs-micros-home-studio/. Here are 6 of the most influential Jazz Musicians of all time. Enjoy the greatness! Charles Mingus was a famous African American jazz double bassist. Not only that, he was also a composer, pianist, and bandleader. Mingus was an accomplished musician born in Nogales, Arizona. He grew up in the city of Watts in California. He gained a great deal of his musical influence from church. He gained inspiration listening to Duke Ellington and studied with H. Rheinshagen, who led the New York Philharmonic at the time. Mingus gained touring experience with Lionel Hampton, Kid Ory, and Louis Armstrong. Some of his most ingenious works include “The Black Saint”, “The Sinner Lady”, “Pithecanthropus Erectus”, and a fusion of Jazz and Cumbia to name a few. Charles Mingus lived from 1922 until 1979. The musical career of Mary Lou Williams was vast. She was born in 1910 and passed in 1981. With each approaching decade, Williams adopted different styles; from modal to avant-garde. Mary Lou Williams has even dipped into classical music with the song “Zodiac Suite”. The world of classical music welcomed her with open arms; the infamous musician has played at Carnegie Hall backed by an orchestra. Williams possessed several talents including being a pianist, composer, and even served in the capacity of a mentor. Some would argue that she is one of the most important women in the history of jazz. Nat King Cole was an African American pioneering musician of the era of Swing. Not only that, he was also a highly influential pianist and group leader. Nat King Cole found great success in his vocal talents, specializing in light swing and ballads. He began his foray into music as a 12 year old in church who played the organ and sang. Cole began touring with a revue and then went to L.A. to perform in jazz clubs. Regarding being a pianist, he developed his own syncopated style with the piano, highlighted by melodic phrasing. Nat King Cole had a long and storied music career; he lived from 1919 until 1965. Herbie Hancock is known for growing his style along with changing times. Hancock has become infamous for Iconic songs such as “Rockit” and “Watermelon Man”. Hancock is the recipient of numerous Grammy Awards as well as an Academy Award. He was born in Chicago, Illinois in 1940. He delved into music at an early age of seven years old. After he played with the Chicago Symphony Orchestra as a young teenager, Mozart in particular. For a somewhat brief period of his life, Hancock attended Grinnell College for the purpose of studying electrical engineering. However, Hancock never ignored his musical calling. He continued to compose and even relocated to New York to share performances with Donald Byrd, the trumpeter. Miles Davis is certainly considered to be one of the greatest musicians of his time. Davis was born in 1926 in Illinois. He was introduced to the trumpet when he was 13 years old by his father. Elwood Buchanan, a friend of his father tutored Davis and supported his quickly developing talent. Buchanan influenced Miles Davis by teaching him to play the trumpet without vibrato. At the age of 17, Miles Davis was called upon by Charlie Parker and Dizzy Gillespie to go on stage and replace the sick trumpet player in the band. Once he reached the age of 18 he moved to New York City to begin his music career in jazz. Davis went on to accomplish a great deal in the world of music before passing in 1991; he received eight Grammy Awards recognizing his superior musical skills. Wynton Marsalis has done a great deal to expand the Jazz vocabulary. He has performed a wide range of music with chamber ensembles, quartets, and big bands. He is considered one of the greatest composers and musicians in the world. 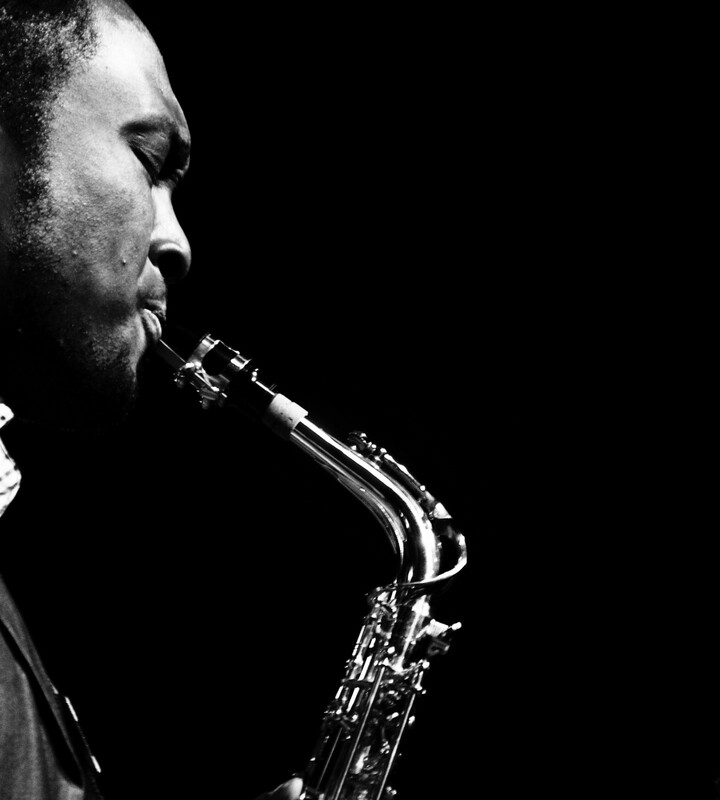 Marsalis has a notable sound, recognize by its clear depth, style, and emotion. Marsalis’ superior skill expressed itself early on in life. Marsalis began performing at the age of eight years old and created a band in 1981 which he played with for 15 years consecutively. Jazz was and will always be such a major contribution in the world of music. 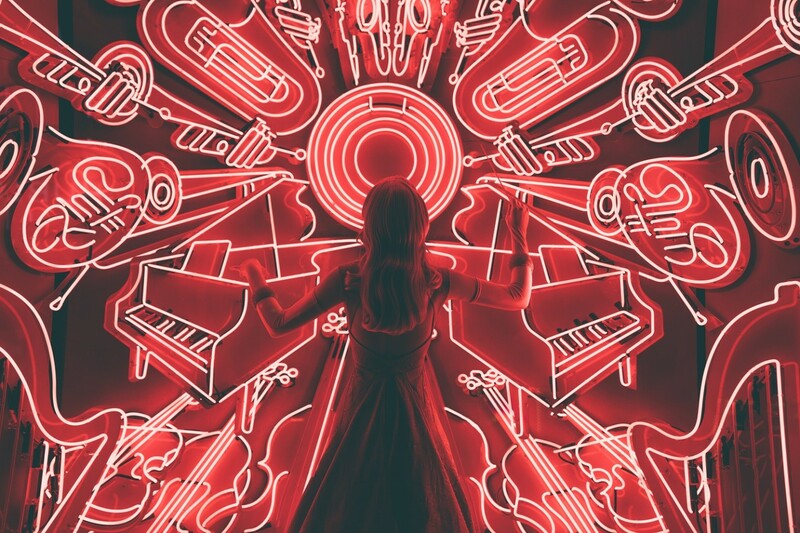 The legacy of the jazz genre is one that has influenced the world of music for decades with many different styles and legendary musicians – all leaving an indelible mark that lives on throughout the ages. Jazz influences include military like instrumentation, African traditions of polyrhythmic layering, classical European chord progressions and Cuban dances and African American field songs. These elements blended together to form beautiful music called “jazz”. One of the earliest and quite popular forms of jazz, Dixieland, was born and nurtured in New Orleans. In the early years of the 20th century, Dixieland jazz stayed strong for over 20 years. Also known as “hot jazz”, it quickly spread from New Orleans to New York and Chicago, where a faster jazz pace was introduced. 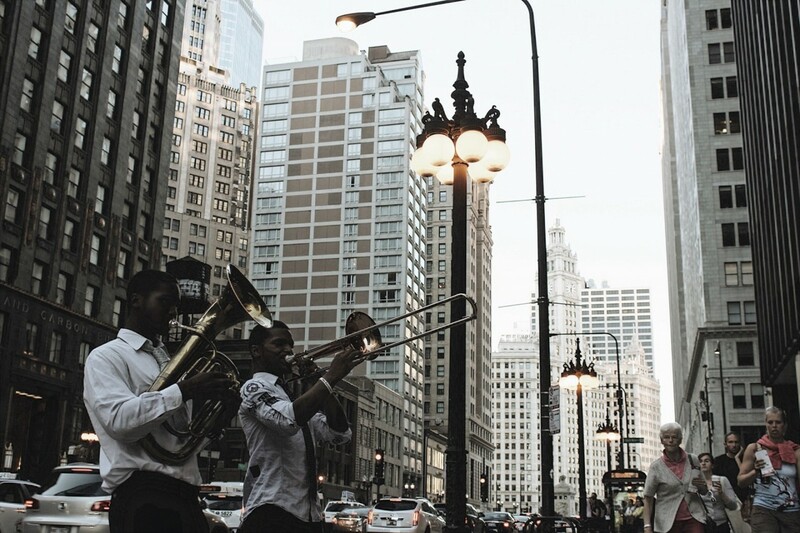 The ragtime sound of trumpets, trombones and clarinets was accompanied by a rhythm section that included drums, banjos and guitars The Dixieland jazz movement spread and moved into Chicago where a faster pace was introduced to the rhythmic jazz beat. As the popularity of the music increased brought on by the greats like Louie Armstrong, it became more sophisticated and jazz bands began performing in venues throughout the states. This led to the Swing Era between 1935-1949, because of the rhythmical swing of the music. Throughout the World War II era, Swing was the new word in the jazz world, and this genre was a United States favorite with the introduction of the big band sound and infamous band leaders. Swing was all about improvised sound with notes extended over each other creating an incredibly unique jazz style. The next jazz genre introduced in the United States was Bop or Bebop. Bob was an influential staple in music land beginning in the 1940s and lasting well into the 60s. Bob nurtured harmony and melody in an up beat, fast tempo style offering complicated melodies and chords in what some described as rushed and incomplete. It worked wonders for super stars including Thelonious Monk, Dizzy Gillespie and Charlie Parker. Jazz is cool, especially when it comes to Cool Jazz. Around the late 40s and early 50s, following in the wake of Bebop, Cool Jazz entered the scene. Cool is characterized by a lighter tone and easy tempo as compared to Bebop. It offered the listener’s ear an easy flowing tone and stayed away from the stark complicated of Bebop. Cool Jazz signifies a pensive, calm sound in music, which then led to “soundsculpting”, using audio samples and pure sounds using digital and analog effects to alter the original sound. Using a synthesizer is a good example of producing this effect. Cool jazz often employed formal arrangements and incorporated elements of classical music. The subtle, cool sounds of Miles Davis and Dave Brubeck are classic examples of Cool Jazz. Jazz would not be jazz without Fusion Jazz. This genre born in the late 1960s, was a fusion of improvisation and harmony popular in Latin, rock, rhythm and blues and funk music. At this time rock was at an all time high and Fusion blended nicely and led to some great performances by legends like Frank Zappa and Herbie Hancock. During this time many jazz musicians began experimenting with electric instruments and amplified sound like synthesizers for the first time. Rolling into the 21st century, Modern Eclectic Fusion took its place in the jazz music scene fusing styles from many different music genres from different countries and eras. During this time, punk and hip-hop gained popularity with modern fusion as the backbone to the movement. Whereas Eclectic Fusion has sounds influenced by hip-hop and punk cultures, Classic Fusion is more rooted in an Afrocentric, beatnik and hippie culture. In this century, it hard to define jazz, because artists tend to mix all genres, from Modern Fusion, Bop and many other definitions in the jazz mix. This music is performed and recorded by musicians from all parts of the world. Jazz is known for its amazing diversity. It was born and bred in America and is a true reflection of freedom of expression and can be heard at festivals and in concert halls, universities and clubs all over the world. 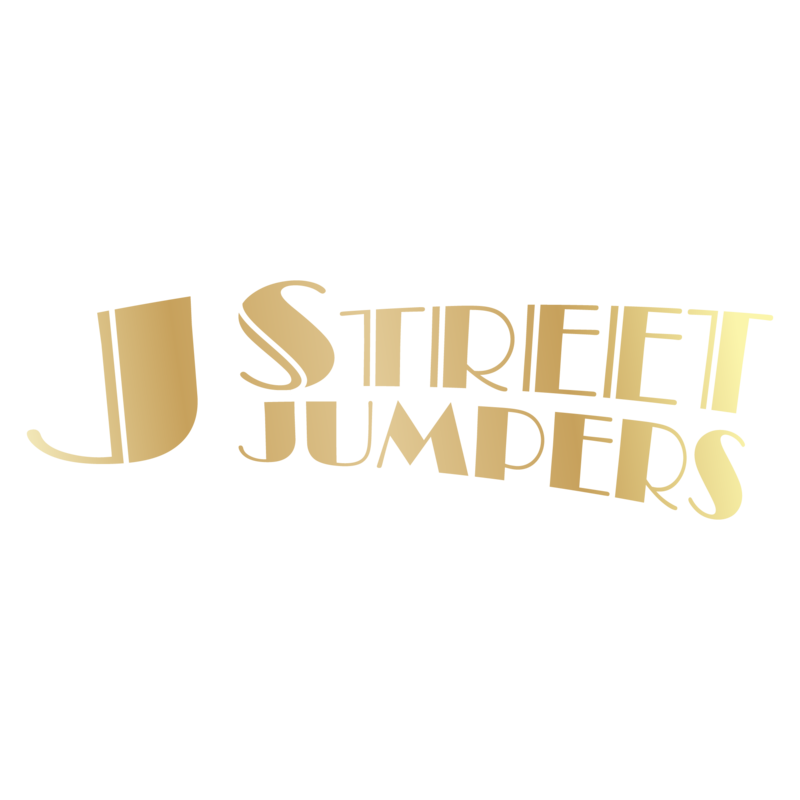 Passion for classic American music including Jump Blues, Swing era jazz and 1940’s Rhythm & Blues is what The J Street Jumpers are all about. Founded in 1993 by saxophonist Charlie Hubel, J Street has spent most of the last 15 years honing their chops in clubs, halls and ballrooms in the mid-Atlantic. The band has wowed crowds at numerous appearances at the Kennedy Center’s Millennium Stage, music festivals, and concerts. Their horn driven sound, combined with the powerful vocals of Juanita Williams has made this band a favorite with listeners and dancers alike. From jazz and blues festivals to inaugural balls, dances and private events, the band brings a consistently energetic and fun atmosphere to wherever they perform. They’ve garnered the respect of the Washington music community as well, evidenced by Washington Area Music Association (WAMA) Wammie Awards wins for six years in a row: Best Big Band – Swing Duo/Group, Best Big Band – Swing Recording and Best Jazz.